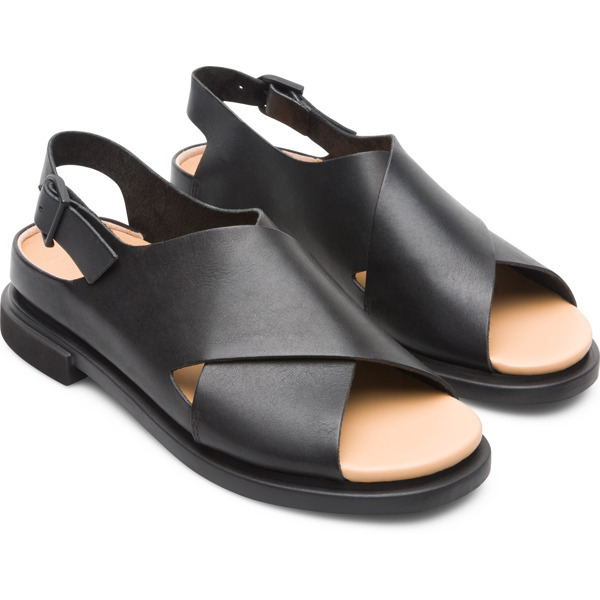 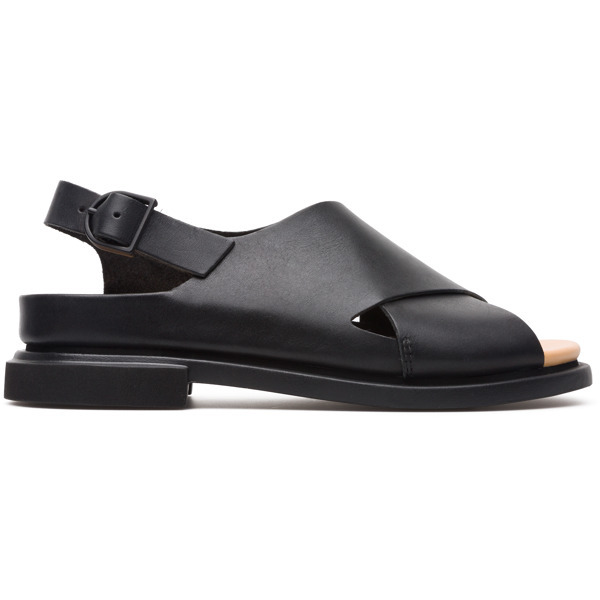 These women’s black leather sandals are characterised by their anatomic shape and semi-open design. 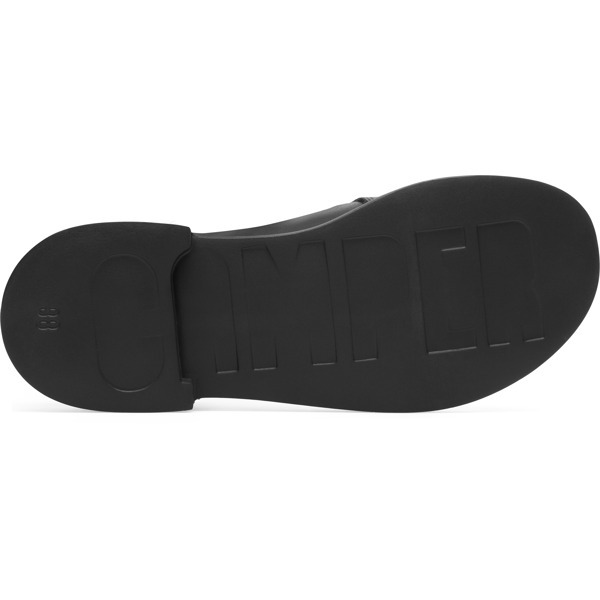 Smooth premium leather wraps around a PU insole that helps cushions your feet. 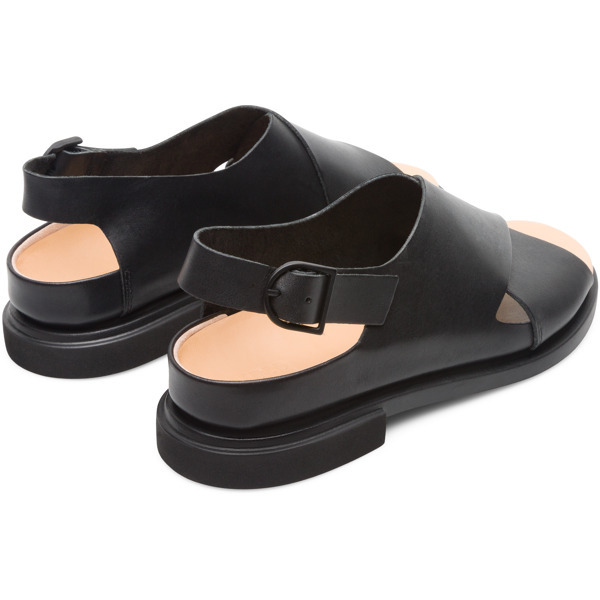 They have an open, rounded toe for a breathable and more relaxed fit. 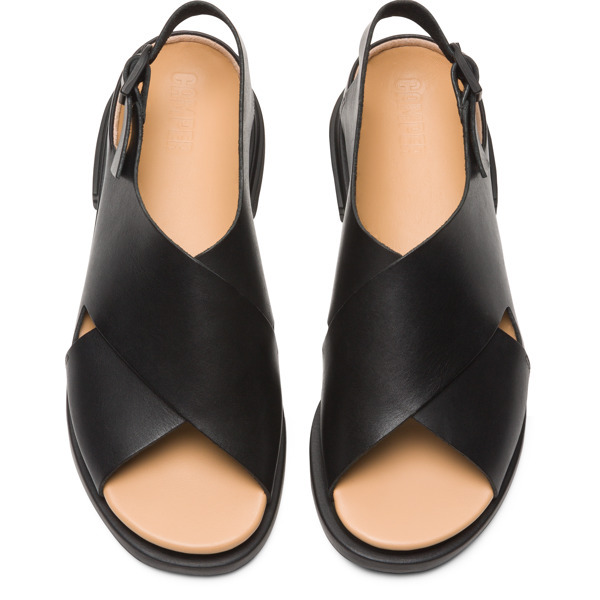 The 3.0 cm heels are subtle and feature lightweight EVA outsoles that won’t weigh you down.